For sometime now, the folks at Marysville’s 5 Rights Brewing have been working on opening a new brewery and taproom in Lake Stevens. 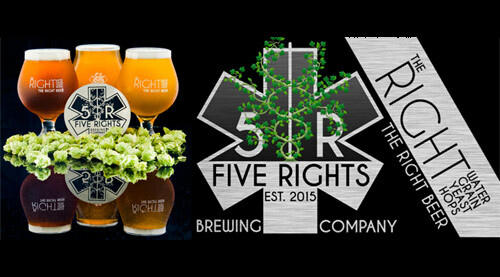 Things were looking good, and it seemed they’d secured the location and were moving forward, but yesterday the owners of 5 Rights Brewing announced that after tireless efforts they could not come to terms with the building’s owners. Below I share the official announcement from 5 Rights Brewing, which the brewery sent out yesterday and also published on their Facebook page. 5 Rights Family. As many of you know we have been working as hard as we can over the past 22 months or so to get our new brewery/taproom/restaurant location open in Lake Stevens. We know that it seems like it has taken forever to do so and no one feels that way more than we do. It’s been extremely tough to answer all of your inquiries without being able to give you a real answer or timeline. So today, it’s with an unbelievably sad heart that we have to announce that 5 Rights Brewing Company will not be opening up at the Vernon Rd. location in Lake Stevens in the foreseeable future. Despite tireless efforts, our family has been unable to come up with a mutually acceptable agreement and timeline to move forward with the existing building ownership. We respect the difficult situation and disappointment that this presents to our customers, vendors, and other relationships. The repeated delays in getting this location online have put a significant (and accumulating) financial burden on our family and have forced us to reassess our next steps. Because of this, we have made a decision that we can no longer wait around for this location’s completion and the agreement needed to do so. We will continue to brew the RIGHT beer that you have come to know and love out of our South Marysville location so that we can continue to feed our local tap accounts. We will remain closed to the public, at least until we can figure out a plan to move the business forward. But we will continue to notify everyone via Facebook, Instagram and newsletter about where our beers will be shipping and served. We love and appreciate all of you and welcome any input that you have for us. If you would like to send us a comment please e-mail it to [email protected] and we will do our best to respond shortly. We cannot thank you enough for all of the overwhelming support and encouragement that you have provided since we opened for business in July 2015 and we look forward to many more years of building relationships with you. We know that things might not look like we planned a few months ago, but we are still committed to building our Culture of Care in Lake Stevens.